NanoMILE co-organizes the workshop on 24-25.04.2017 in Bilbao. A number of H2020 funded projects are working on various aspects of the Safe-by-Design (SbD) concept and all rely upon industry to understand its meaning and how to use the tools being developed in these projects. Disseminating this knowledge to a wider audience will help in the acceptance and uptake of SbD by companies and will also allow the projects to learn more about stakeholder needs. A workshop that allows knowledge exchange between various SbD projects as well as listening and learning from different stakeholder groups (industry, academia, regulators, insurance, consumers) can help adjusting research, dissemination and exploitation strategies accordingly. This ensures project outcomes and tools are relevant long after the project has officially concluded. Click here for the workshop flyer or to registrate. At the NMSA conference in Malaga. Susan Dekkers (RIVM) et al. were awarded the RSC Environmental Science Nano best poster Prize at the NMSA Malaga conference for the poster on The influence of redox activity of inhaled nano-sized cerium dioxide on respiratory, immune and cardiovascular effects in multiple mouse models. A joint final conference of the five major FP7 projects NANOSOLUTIONS, SUN, NanoMILE, GUIDEnano, and eNanoMapper. The conference will present the main results achieved in the course of the projects fostering a discussion about their impact in the nanosafety field and possibilities for future research programmes. The conference welcomes consortium partners from the organizing projects, as well as representatives from other EU projects, industry and government, civil society and media. A two-day Workshop on Nanomedicine & Contrast agents for PhD students in Maastricht. On October 27-28th 2016, Nano4Imaging organizes a two-day Workshop on Nanomedicine & Contrast agents for PhD students in projects ITERM and NanoMILE. The workshop is open for participants from industry and academia, and can host another 10 participants. The workshop focusses on the clinical importance of contrast agents, as well as the current toxicological problems with many of these agents. 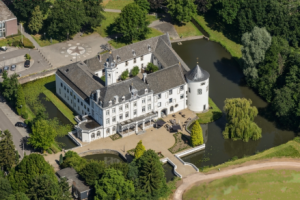 The workshop venue is the loverly Chateau Bethlehem Teaching Hotel Maastricht. Speakers include Prof. Jelle Barentsz (Nijmegen), Prof. Fabian Kieslsing (Aachen), Dr Iseult Lynch (Birmingham). Draft program (12.09.2016). More info on the workshop website. 10 years of investment in nanosafety science by the European Commission via Framework Programmes 6 and 7 has led to an enormous body of data and expertise on nanosafety science in Europe. To ensure continuity of effort, and facilitate the translation from nanosafety science to standardisation, industry and regulation within Horizon2020, the flagship projects on mechanisms of nanomaterials interactions with living systems, NanoMILE and NanoSOLUTIONS organize a workshop on 13-14.09.2016, with the goal to develop a consensus paper on scientific best practice and approaches for high throughput & “omics” approaches to nanosafety assessment. The workshop will consist of keynote presentations followed by break-out discussion to reach consensus on selected topics, based around a prepared discussion document. Summaries from the discussion break-out groups will be presented back to the group in plenary for final discussion. – Plan for benchmarking activities and securing buy-in of projects with capabilities to achieve this. This 2-day event will be followed by an EU NanoSafety Cluster meeting, at the same venue, on 14.09.2016. Registration for the NSC meeting to Elina Drakvik (Elina.Drakvik@ttl.fi). Organized by the FP7 Project SETNanoMetro, the Summer School aims to illustrate and discuss the most recent advances in the synthesis, characterization, testing and application of nanoparticles with controlled properties. The school is addressed to PhD students and Post-Docs with a background in Physics, Chemistry, Material Science, Regenerative Biology and Medicine. For more detail and for registration, please see here. In Visby, Sweden, 15-16 September. The NanoSafety Cluster is hosting a “Nanosafety Forum for Young Scientists”. The event will take place in Visby, Sweden, on 15-16.09.2016, complemented by opportunities to meet experts and senior scientists. Prior to the Forum for young scientists the NSC meeting will be held on the 14th. The event is an open Forum for scientists in the nanosafety research field including scientific sessions with oral presentations from the young scientists and forward looking keynotes from established senior investigators. The goal is to exchange scientific information and visions and to enable young and senior scientists to learn to know each other. Early bird registration at preferential rate is now extended to 30 July. Final registration deadline is 15 August 2016. Environment is so diverse: how and where to start ?? The environment presents a large, dynamic and highly complex arena. Unlike for human toxicity, where the focus is a single species – man, protection of wildlife needs to consider a very wide range of organism that are representative of the world’s ecology. So how and where do you start in considering possible biological effects of NMs in the environment? And, of course, the answer is not a straight forward one. It is clearly not possible to test all organisms and cover all trophic systems. For chemicals, ecotoxicity testing uses a range of representative microbes, plant, invertebrate and vertebrates for terrestrial and aquatic systems. In the world of nanotoxicology the approach is the same, although the test organisms chosen to represent phyla or classes of organisms for protection might differ to best represent the differences in fate and compartmentalisation of NMs in the environment. Here, the WP6 partners present the organisms they have adopted and the reasons behind their selection as our models to study the ecotoxicology of NMs. Industrial Technologies 2016 (22-24.06.2016, Amsterdam) is the largest networking conference in the field of new production technologies, materials, nanotechnology, biotechnology and digitalisation in Europe, with more than 200 speakers and 1500 attendees. On the first afternoon, the NanoMILE partner EU-VRi organized a workshop on "Nanosafety: From research to implementation of Risk Management and Safe Innovation in the nanotechnology industry". The workshop presented, illustrated and discussed, through recent and running R&D projects and initiatives, ways and solutions to bridge the gap between scientific knowledge and the market. At this workshop, EU-VRi presented outputs from nanosafety research, NanoMILE and other NanoSafety Cluster projects, that will lead to operational tools for the nanotechnology industry. Please find here the agenda of the workshop. Please find here the presentations of the workshop. The meeting brought together scientists and users at the University of Westminster. Quartz crystal microbalance (QCM) biosensors, such as the Attana systems, allow the study of drug-target interactions and are an important tool in the drug discovery pipeline. 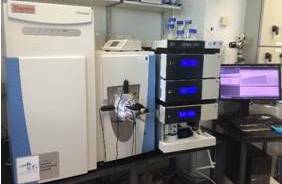 Biomolecules ranging from proteins, nucleic acids, carbohydrates to lipids and moieties of vastly different sizes, from peptides to cells can be studied using QCM. This versatile technnology has many applications and has been used in applications ranging from cancer therapies to nanotechnologies and more recently to study drug interactions at the cell surface. developments by expert users of the Attana Biosensor equipment. The day will include presentations showcasing research from users in academia and industry. There will be round table discussions on different applications of the technology. This is a chance for you to network with experienced users and to learn about potential applications of QCM technology. This event will provide a great opportunity for existing and potential users to share ideas and to consider possible collaborative ventures. To facilitate the networking opportunities, delegates are encouraged to bring posters outlining their research interests. For more detail and for registration, please see the agenda or click here. Please find here a poster presented by Attana at the meeting. NanoMILE outlines the nature of interactions between nanoparticles and a range of biomolecules. Nanoparticles, when dispersed in a complex biological milieu adsorb a long lived biomolecular layer containing proteins, lipids and other macromolecules. This complex layer of biomolecules, known as the “protein corona”, will confer the identity of the nanoparticles and be the interface at which they interact with cellular machinery. Therefore, the tapestry of biomolecules presented on the nanoparticle surface will determine not least, the mode of interaction with cellular receptor but potentially, the bio-distribution of nanoparticles in vivo. In WP5, NanoMILE outlines the nature of how nanoparticles interact with a range of biomolecules that may steer them from their intended target in vivo or impact cellular interactions that may lead to toxicity effects. 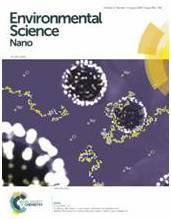 In order to evaluate the long lived corona on the surface of nanoparticles, mass spectrometry was performed to develop a list of relevant proteins and lipids that reside on the surface of NanoMILE nanomaterials and Superparamagnetic Iron Oxide Nanoparticles (SPIONs) in biologically relevant media such as Human plasma, lung lavage fluid and NanoMILE sera respectively. Mass spectrometry protein analysis showed that when NanoMILE nanomaterials were incubated with human plasma, a series of proteins related to coagulation activation in blood were present on the nanoparticle surface, in particular fibrinogen (Figure 1, mass spectrometry facility at UCD). Fibrinogen interactions with a range of nanomaterials were tested using Fluorescence Correlated Spectroscopy (FCS), a High through-put method to detect local protein concentration adsorbing to the nanoparticle surface. The FCS analysis confirmed that a high fraction of Fibrinogen binds to a range of NanoMILE nanomaterials resulting in high concentrations of fibrinogen surface adsorption and thus, nanoparticle aggregation. Additionally, an experimental nanoparticle-cell interaction model was developed using a Quartz Crystal Microbalance (QCM) to demonstrate that a range of NanoMILE nanoparticles interact with cells surfaces only in the presence of the protein corona (Figure 2). Predictive modelling analysis was also performed in order to better understand nanoparticle-biomolecule interactions and how they evolve in different conditions, for example pH. When nanoparticles gain access to the cell, they tend to accumulate in acidic compartments called lysosomes. Indeed, the protein corona is carried on the nanoparticle surface to these acidic compartments (demonstrated in WP4). An array of experimental simulations were performed using a known protein Bovine Serum Albumin (BSA) incubated with nanomaterials with a range of different surface charges across a pH range. The simulations demonstrated that at physiological conditions, BSA-nanoparticle interactions are electrostatic; furthermore, at strong pH and when adsorbed to the nanoparticle surface BSA conformation is strongly modified or unfolded (Figure 3). Fibrinogen and modified, unfolded proteins absorbing to the surface of nanoparticles and becoming a substantial component of the long lived protein corona may lead to unwanted immune detection or bio-accumulation. Fibrinogen has been shown to cross-link neighbouring nanoparticles resulting in aggregation that leads to activation of inflammatory pathways in THP-1 cells (human leukemia monocytes). Also, modified unfolded proteins have been shown to expose hidden epitopes that are associated with immune detection. Therefore, future studies will include testing ill formed coronas using Fibrinogen and unfolded proteins to understand their interactions with key immune receptors in vitro, using our high throughput QCM model that may lead to a better prediction of the fate of nanoparticles in vivo. Figure 2: Attana QCM demonstration of the impact of protein corona on nanoparticle-cell interactions. Figure 3: surface-adsorbed corona proteins can modify or unfold on the surface of nanoparticles depending on pH. 1. Deng, Z.J., et al., Nanoparticle-induced unfolding of fibrinogen promotes Mac-1 receptor activation and inflammation. Nat Nanotechnol, 2011. 6(1): p. 39-44. NanoMILE establishes a high-throughput screening platform for manufactured nanomaterials. Due to the diversity of manufactured nanomaterials (MNM) regarding chemical composition, surface modification, size, and other parameters the number of materials to be tested for safe application is steadily increasing. For effective safety screening of numerous MNMs it is necessary to speed up the testing by using in vitro test systems and small animals and applying high-throughput/-content (HT/C) methods. High-throughput screening (HTS) is a method of automated testing, allowing a high number of tests simultaneously (e.g. one cell type in a solution with different compounds at different concentrations). The objectives of NanoMILE in WP4 were to establish a screening platform based on high-throughput techniques (Figure: the platform at the Joint Research Centre (JRC) in Ispra, Italy). By applying these methods, it is expected to uncover adverse outcome pathways and enable efficient and rapid hazard identification and ranking of various MNMs. The materials selected for this work come from a library of different MNMs all of which had similar size but different chemistry and coatings/modifications and include CeO2, Ag, TiO2, ZnO and SiO2. To date more than 90 MNMs from the NanoMILE library have been screened. To match the experimental conditions, characterisation of the MNMs is performed also in serum containing culture medium under the test conditions. As a positive control, amine-modified polystyrene nanoparticles were used which are already intensively studied by HT (Anguissola et al., 2014). This library was tested in different mammalian cell lines to link physico-chemical properties to multiple adverse effects in different biological systems. Cells cultured in vitro represent ideal high-throughput and ethically acceptable systems to assess toxicity. Yet, simplistic in vitro systems often fail to detect more complex organ-specific toxicity. Therefore, zebrafish embryos are used in addition as a model organism to detect toxicity of MNMs. The cell lines represent different organs (liver, lung, colon, immune system). The assays used are based on high-throughput/-content (HT/C) techniques. Endpoints such as uptake into cells, cell count, cell membrane permeability, apoptotic cell death, mitochondrial membrane potential, steatosis and lysosomal acidification have been studied in cells. The zebrafish embryos were tested for hatching rate, malformations and mortality. 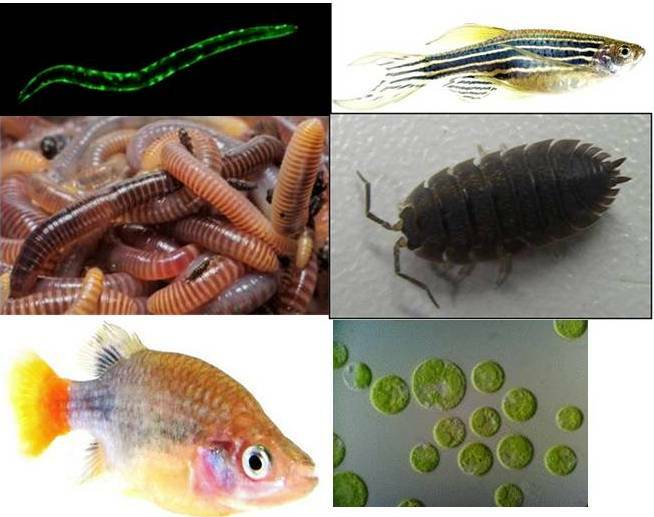 The outcome of the studies is, that the soluble MNMs Ag and ZnO were the most toxic in cells and zebrafish embryos. TiO2 and SiO2 MNMs also triggered toxicity in some but not all cell types and the cell-type specific effects of TiO2 and SiO2 NPs were influenced by the specific coating. CeO2 MNMs were nearly ineffective in our test systems. Overall, the different screening assays come to similar conclusions and complement each other. Therefore, HT/C screening is a versatile method for speedy identification of acutely cyto- and embryo-toxic MNMs. Future HT/C assays need to be established to not only monitor acute cytotoxic effects but to include additional read-outs relevant for e.g. inflammation, genotoxicity and other toxicity pathways. Anguissola,S., Garry,D., Salvati,A., O'Brien,P.J., and Dawson,K.A. (2014). High content analysis provides mechanistic insights on the pathways of toxicity induced by amine-modified polystyrene nanoparticles. PLoS One 9, e108025. EMPA et al. published in ES&T a Comprehensive Sequential Study on Aging of and release from Nanoenhanced Textiles all along their life cycle. The scientific understanding of nanoparticle (NP) release and transformations they undergo during the product life cycle is hampered by the narrow scope of many research endeavors in terms of both breadth of variables and completeness of analytical characterization. We conducted a comprehensive suite of studies to reveal overarching mechanisms and parameters for nanosilver transformations either still adhered to the fabric or when released after washing. Laboratory prepared nanoenhanced fabrics were investigated: three Ag variants and one Au used as an unreactive reference to separate mechanical from chemical releases. Sequential combinations of sunlight irradiation and/or washing in seven different detergent formulations was followed by NP characterization divided into two groups: (1) dissolved and particulate matter in the wash solutions and (2) the fraction that remained on the fabric. Analytical techniques included spICP-MS, XANES, TEM, SEM, and total metals analysis of fabric digests and wash water filtrates. Sunlight irradiation stabilizes metallic Ag upon washing. Detergents containing oxidizing agents assisted with Ag particle release but not Au NPs, inferring additional chemical mechanisms. While particle size played some role, the NP capping agent/fabric binder combination was a key factor in release. When particles were released, little alteration in size was observed. The use of well-controlled fabrics, unreactive reference materials, and a life-cycle based experimental regime are paramount to understanding changes in Ag speciation and release upon use of nanoenhanced textiles. A starting point for nucleation of the desperately sought European nanosafety meta-database? 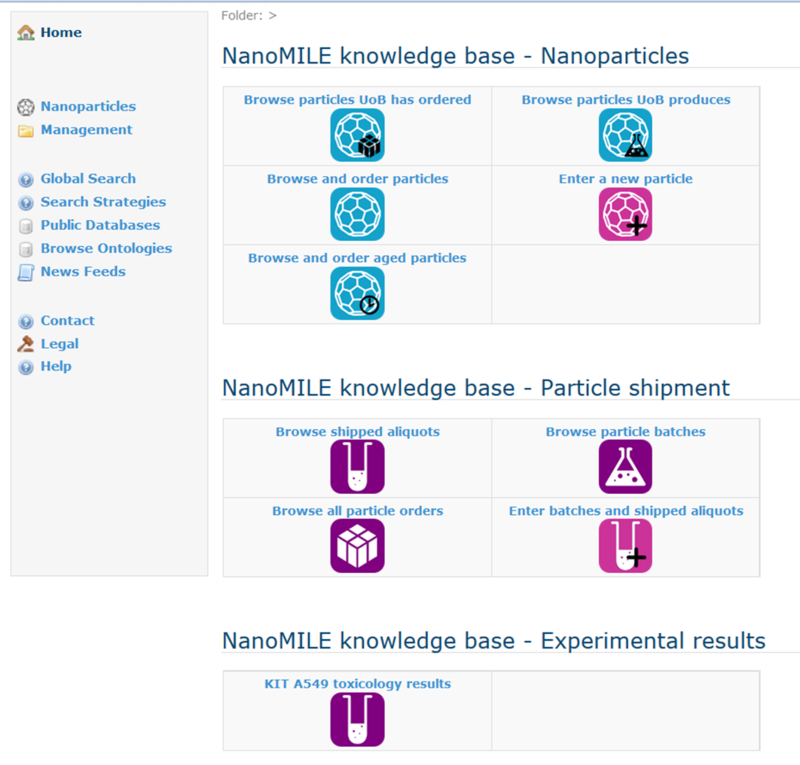 The German big-data and knowledge management company Biomax, who is already operating the NanoMILE KnowledgeBase on hazard characterization of engineered nanomaterials (ENMs), has agreed with the NanoMILE coordinator and NanoFASE partner University of Birmingham, to extend the KnowledgeBase to cover also the additional aspects of relevance to H2020 project NanoFASE on fate characterization of ENMs in the environment. While initially each project will have its own entry to the portal, and will work with its own set of ENM (although with overlaps as far as scientifically possible), the data are organized in a manner that allows progressively open sharing of the data, for example, as datasets get published. Fate is the key parameter for exposure, and exposure and hazard combined determine the risk. 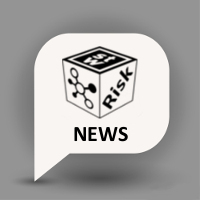 The agreement with Biomax allows the possibility to easily combine hazard and fate data for risk assessment and safety-by-design. This first construction of sister databases could show the way to a meta-database on nanosafety that would allow to capitalize and better exploit the huge amount of high -value data obtained in years and tens of millions of Euros of European nanosafety research, as currently actively discussed within the NanoSafety Cluster. Other projects are welcome to join this initiative. The way to go forward with ALI was discussed in a workshop in Paris. The workshop was organized by INERIS for NanoReg2 with strong participation of the NanoMILE partners Vitrocell and KIT. To achieve these goals, the program included lectures, short presentations, poster session and discussion with a panel of experts. sensitizes cells towards genotoxic agents. Long-term exposure of A549 cells to titanium dioxide nanoparticles induces DNA damage and sensitizes cells towards genotoxic agents. Lucie Armand, Adeline Tarantini, David Beal, Mathilde Biola-Clier, Laure Bobyk (Univ. Grenoble - CEA, Fr); Sephanie Sorieul (Univ. Bordeaux); Karin Pernet-Gallay (Univ. Grenoble - INSERM); Caroline Marie-Desvergne (Univ. grenoble - CEA, Fr), Iseult Lynch (UoB, UK), Nathalie Herlin-Boime (CEA - CNRS, Fr); Marie Carriere (Univ. Grenoble - CEA, Fr). Nanotoxicology, Fenruary 2016. Molecular responses of alveolar epithelial A549 cells to chronic exposure to titanium dioxide nanoparticles: A proteomic view. Lucie Armand, Mathilde Biola-Clier, Laure Bobyk (Univ. Grenoble - CEA, Fr); Véronique Collin-Faure (CEA, Fr); Hélène Diemer, Jean-Marc Strub, Sarah Cianferani, Alain Van Dorsselaer (UNi. Strasbourg - CNRS, Fr); Nathalie Herlin-Boime (CEA-CNRS, Fr); Thierry Rabilloud (CNRS, Fr), Marie Carriere (Univ. Grenoble - CEA, Fr). Journal of Proteomics, Volume 134, 16 February 2016, Pages 163–173. Titanium dioxide nanoparticles (TiO2-NPs) are one of the most produced NPs in the world. Their toxicity has been studied for a decade using acute exposure scenarios, i.e. high exposure concentrations and short exposure times. In the present study, we evaluated their genotoxic impact using long-term and low concentration exposure conditions. A549 alveolar epithelial cells were continuously exposed to 1–50 μg/mL TiO2-NPs, 86% anatase/14% rutile, 24 ± 6 nm average primary diameter, for up to two months. Their cytotoxicity, oxidative potential and intracellular accumulation were evaluated using MTT assay and reactive oxygen species measurement, transmission electron microscopy observation, micro-particle-induced X-ray emission and inductively-coupled plasma mass spectroscopy. Genotoxic impact was assessed using alkaline and Fpg-modified comet assay, immunostaining of 53BP1 foci and the cytokinesis-blocked micronucleus assay. Finally, we evaluated the impact of a subsequent exposure of these cells to the alkylating agent methyl methanesulfonate. We demonstrate that long-term exposure to TiO2-NPs does not affect cell viability but causes DNA damage, particularly oxidative damage to DNA and increased 53BP1 foci counts, correlated with increased intracellular accumulation of NPs. In addition, exposure over 2 months causes cellular responses suggestive of adaptation, characterized by decreased proliferation rate and stabilization of TiO2-NP intracellular accumulation, as well as sensitization to MMS. Taken together, these data underline the genotoxic impact and sensitization effect of long-term exposure of lung alveolar epithelial cells to low levels of TiO2-NPs. Denise Mitrano (EMPA) et al. : Dramatic differences in particle behavior of nano-silver during the initial wash cycle and for its further dissolution/transformation potential over time. In an effort to better relate nanomaterial aging procedures to those which they are most likely to undergo during the life cycle of nano-enhanced products, in this paper we describe the various transformations which are possible when exposing Ag engineered nanoparticles to a suite of commercially available washing detergents. While Ag nano transformations and washing of textiles has received considerable attention in recent years, our study is novel in that we (1) used several commercially available detergents allowing us to estimate the various changes possible in individual homes and commercial washing settings; (2) we have continued method development of state of the art nanometrology techniques, including single particle ICP-MS, for the detection and characterization of nanomaterials in complex media; and (3) we were able to provide novel additions to the knowledge base of the environmental nanotechnology research community both in terms of the analytical methods (e.g. the first time particle aggregates have been definitively analyzed via single particle ICP-MS) and broadening the scope of “real world” conditions that should be considered when understanding Ag nanomaterials through the life cycle. Our findings, which were recently published in the journal Environmental Science and Toxicology, indicate that the washing detergent chemistry shows dramatic differences in particle behavior during the initial wash cycle and has ramifications for the dissolution/transformation potential of the Ag particles over time. The use of silver as an antimicrobial treatment in textiles continues to garnish considerable attention. Last year we published a manuscript in ACS Nano that considered how various silver treatments to textiles (conventional and nano) both release nano-sized material after the wash cycle with similar chemical characteristics. That study essentially conveyed that multiple silver treatments would become more similar through the product life cycle. Our newest work is meant to be a foil to our previous study where we investigate one material under various washing conditions thereby creating more varied silver products as an end result. These findings carry implications on how real world use conditions of one product can be create substantially different transformation pathways of the embedded nanomaterial, encouraging further discussion as to which metrics and characterization factors are most useful when studying “relevant” aged nanomaterials used in future toxicity or environmental fate studies. The detergent chemistry was found to be the decisive factor that influenced the release and transformations of silver nanomaterials in the textiles we created. In the Venn Diagram above, a few of these points are highlighted. The most significant change occurred when detergents contained oxidizing agents that prompted an oxidative dissolution of the silver particles suspended in solution. So in the wash water, we founded smaller silver particles and, depending on the strength and concentration of the oxidizing agent in the solution, more dissolved silver. Another important parameter was the physical form of the detergent; i.e. powder vs. liquid detergent. In powder detergents there was an increased likelihood of new particle formation from the dissolved material. This is a phenomenon that we also observed in our previous washing studies: that silver nanomaterials can be formed in the washing detergent. Together these studies show that silver material incorporated into the textile (either silver nanomaterials or conventional forms of silver) and the dynamics of the detergent are intertwining factors which can create a suite of silver forms when washing the fabrics. Beyond simply being an interesting finding in the laboratory and for the scientific community; public interest was also piqued when these topics were presented this year at the American Chemical Society in Denver, Colorado, USA. A local newspaper reporter was present at the meeting and wrote a short popular science article highlighting the topic. The article appeared to gain some traction, as Dr. Denise Mitrano was asked to speak on the local radio and create a podcast on the topic on two different occasions from KSL radio in Salt Lake City, Utah, USA. Denise M. Mitrano, in NanoMILE Work Package 3: Lyfe cycle evolution of MNMs. University of Genova gets honored for its work on interaction processes between nanoparticles and biomacromolecules of variable hydrophobicity. The conformational properties and formation of a complex between a weak flexible biomacromolecule chain of variable hydrophobicity and one negatively charged nanoparticle in the presence of explicit counterions are investigated here using Monte Carlo simulations. The influence of the charge distribution and hydrophobicity, monomer distribution of the chain as well as the pH of the solution are systematically investigated. It is shown that the isolated chain conformations, built with random and block distribution of carboxylic, amino and hydrophobic groups, are the result of the subtle competition between intrachain attractive and repulsive electrostatic interactions as well as intrachain attractive short-range interactions due to hydrophobic properties. Extended conformations are found at low and high pH and folded conformations at physiological pH when hydrophilic and block polymer chains are considered. On the other hand, hydrophobic chain conformations do not show pH dependency and remain folded. The intrachain attractive electrostatic interactions clearly promote the deprotonation of carboxylic groups at low pH and the protonation of amino groups at high pH with higher efficiency for hydrophilic chains. The additional set of electrostatic interactions due to the presence of one negatively charged nanoparticle limits the deprotonation of carboxylic groups at low pH. Moreover, the attractive interactions between the biomacromolecule and the nanoparticle allow to observe the formation of a complex considering intermediate and hydrophilic chains even close to the chain isoelectric point due to the charge inhomogeneity distribution. Hydrophobic chain segments are not affected by the presence of the nanoparticle and remain desorbed. In all cases, the presence of one nanoparticle influences the biomacromolecule structures and acid/base properties, leading to more stretched conformations. NanoMILE partners Olena Oriekhova and Serge Stoll, University of Geneva, publish in Feb. 2016 issue of Chemosphere. 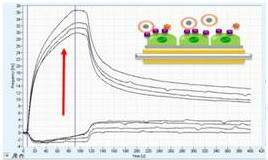 Effects of pH and fulvic acids concentration on the stability of fulvic acids – cerium (IV) oxide nanoparticle complexes. Olena Oriekhova, Serge Stoll, University of Geneva. Chemosphere 144 (2016) 131-137. The behavior of cerium (IV) oxide nanoparticles has been first investigated at different pH conditions. The point of zero charge was determined as well as the stability domains using dynamic light scattering, nanoparticle tracking analysis and scanning electron microscopy. A baseline hydrodynamic diameter of 180 nm was obtained indicating that individual CeO2 nanoparticles are forming small aggregates. Then we analyzed the particle behavior at variable concentrations of fulvic acids for three different pH-electrostatic scenarios corresponding to positive, neutral and negative CeO2 surface charges. The presence of fulvic acids was found to play a key role on the CeO2 stability via the formation of electrostatic complexes. It was shown that a small amount of fulvic acids (2 mg L−1), representative of environmental fresh water concentrations, is sufficient to stabilize CeO2 nanoparticles (50 mg L−1). When electrostatic complexes are formed between negatively charged FAs and positively charged CeO2 NPs the stability of such complexes is obtained with time (up to 7 weeks) as well as in pH changing conditions. Based on zeta potential variations we also found that the fulvic acids are changing the CeO2 acid-base surface properties. Obtained results presented here constitute an important outcome in the domain of risk assessment, transformation and removal of engineered nanomaterials released into the environment. NanoSolutions and NanoMILE compared approached and discussed future synergies between the two projects: joint papers, sharing and testing of tools / data, joint workshop in April 2016. A core group from projects NanoSolutions and NanoMILE met in Brussels on the 24th of August, to discuss future synergies between the two projects. The meeting was also attended by Nicolas Segebarth, the NanoSolutions project officer. Both projects were initially conceived to address the same call and it was anticipated that that similarities and differences between approaches could be leveraged to maximise use of resources and data from each project. This gathering in Brussels also served as the planning meeting for a future joint activity, part of the NanoMILE-JRC Brussels Series of consensus meetings on Nanosafety science, focussing on the theme of “Alternative test methods – high throughput & “omics” approaches to nanosafety assessment”. As anticipated the core research topics in each project were found to be similar, and were used as the theme for five breakout groups: 1) Material characterization; 2) In-vitro and phenotypes; 3) High-throughput screening (HTS); 4) In-vivo; and 5) Omics, modelling, data management. Discussions from the breakout groups were then presented to the whole group and a plenary discussion followed. Some key commonalities between the projects include the selection of certain materials (titanium dioxide, silver, copper oxide, carbon nanotubes), test organisms (Daphnia, Zebrafish, mice and C. elegans) and ultimate development of a model (QSAR for NanoMILE and a nanomaterial classifier for NanoSolutions). Major deviations included the range and type of materials used, with NanoMILE using a more extensive library of “designer” particles whereas NanoSolutions using a smaller selection of more basic and industrially relevant particles. The two projects also have different approaches and timings when it comes to HTS. NanoMILE has HTS upfront to screen materials of interest for detailed in vitro/in vivo investigation, whereas NanoSolutions would use HTS as a validation tool towards the end of the project. · joint papers: a white paper on policy, a paper on Materials, Models and Methods and one focusing on the use of systems biology in nanotoxicology. · More concrete plans on the joint workshop, planned for April 2016.